Found 6 file extension associations related to SimCity Societies and 6 file formats developed specifically for use with SimCity Societies. Featuring an all-new, revolutionary feature set, SimCity Societies allows players to create their own kinds of cities, shape their cultures, societal behaviours and environments. Build an artistic city, an Orwellian city, futuristic city, green city, spiritual community or any society you want! With more accessible and innovative choices than before, SimCity Societies is the most versatile city building game. 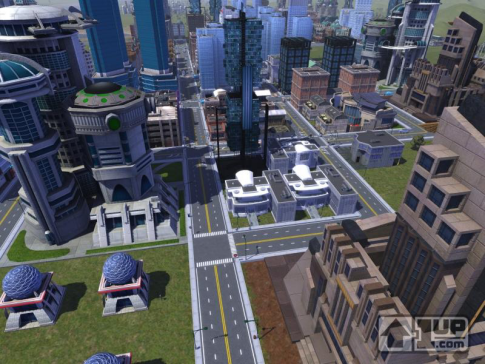 This innovative, modular approach to city-building makes SimCity Societies accessible to players of all levels, while still providing tremendous new possibilities to veteran players of the SimCity™ series. Mix and match societal values—productivity, prosperity, creativity, spirituality, authority, and knowledge—to determine the core attributes of your city. Modify almost everything in the game, from the names of your Sims and buildings, to building textures and statistics, and even Sim behaviours. If you need more information please contact the developers of SimCity Societies (Electronic Arts, Inc.), or check out their product website.